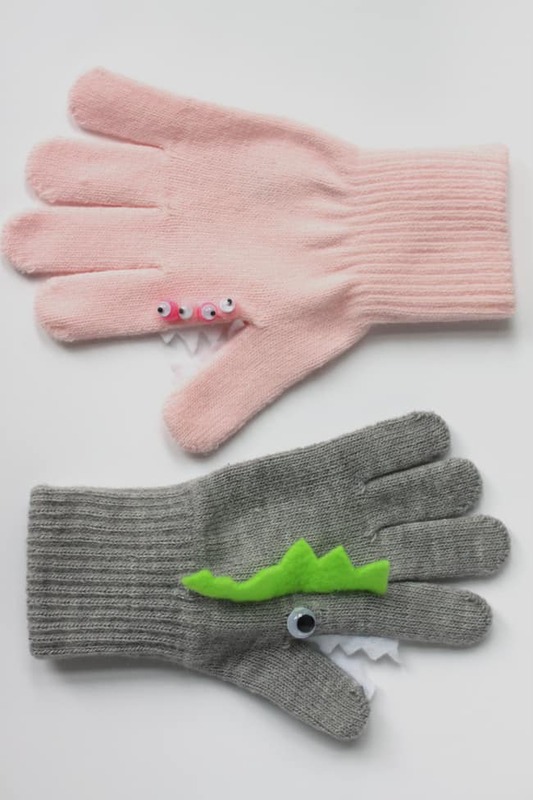 Monster puppet gloves are a fun, wearable craft, sure to keep the kids entertained and their hands toasty! 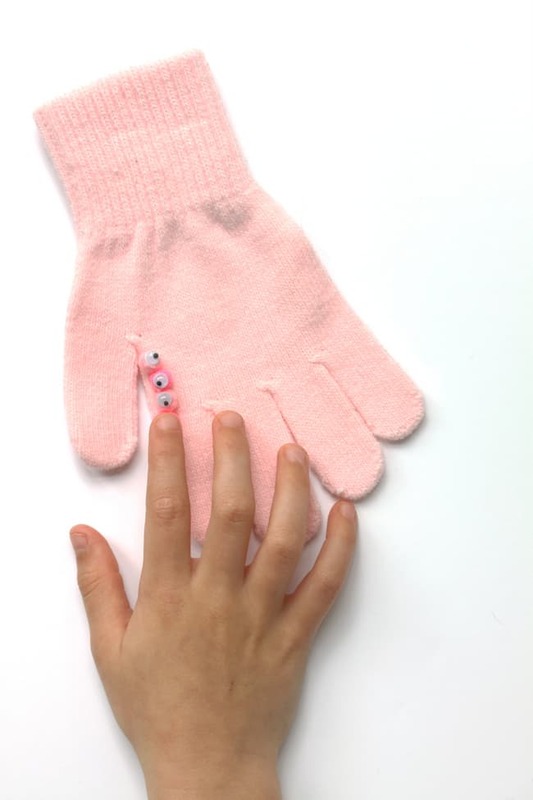 It’s also a great way to upcycle a plain pair of winter gloves. And your kids will enjoy coming up with creating own characters as well as using their imagination to create stories to tell! 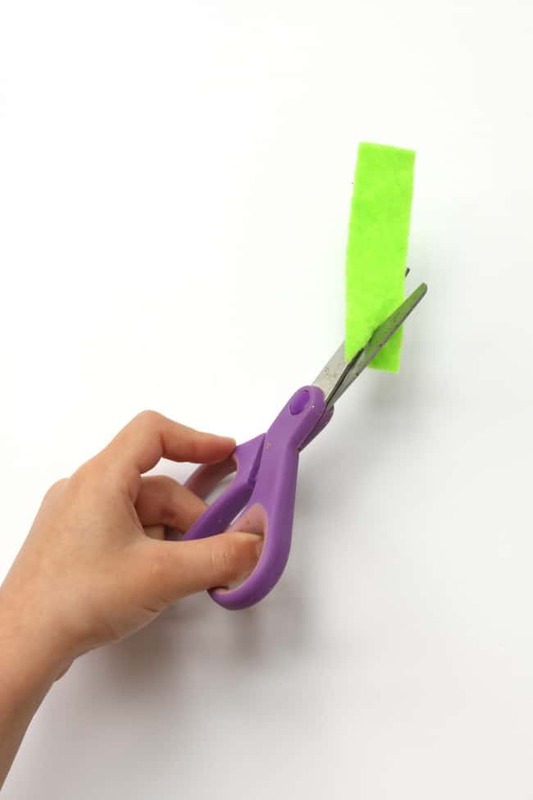 *you can use any kind of glue as long as it is safe to go through the washing machine. 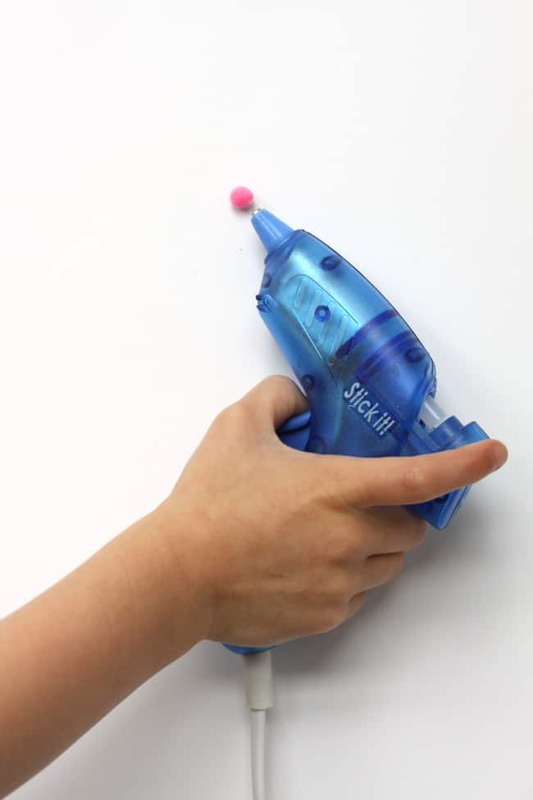 We used a cold glue gun as my daughter really wanted to try it out! Glue googly eyes on to pom poms (if using). 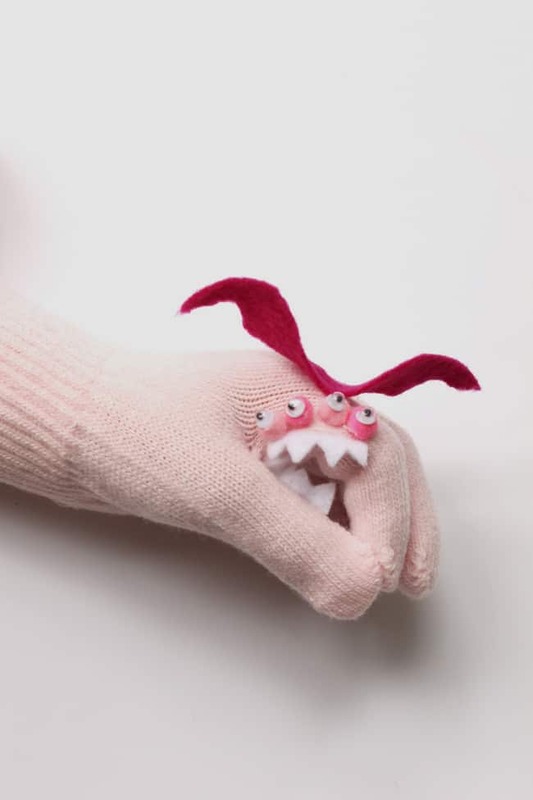 Cut out teeth, spikes and other features from felt. 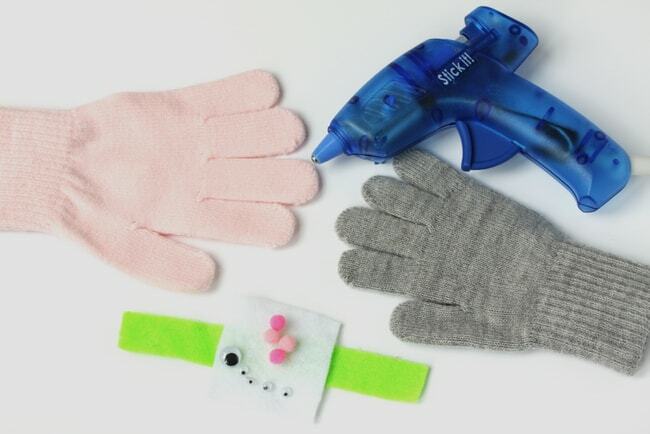 Glue eyes and felt features onto gloves. 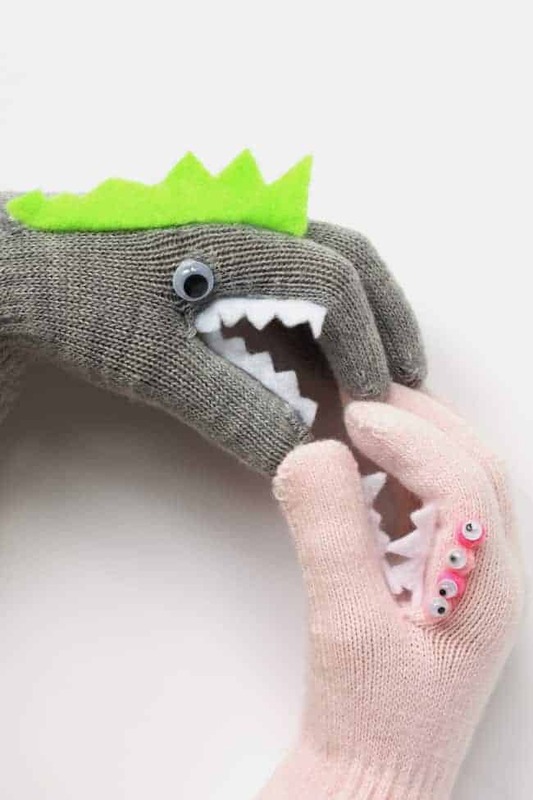 Have fun playing with your new monster glove puppets!! What other creatures could you turn your gloves into? What about adding wings or hair? These are so cute! I love the little wings the pink one has. So cute! Happy Wednesday!